Take an ethics class at DAAR (free of charge). Successful completion of our three-hour REALTOR® ethics class satisfies the NAR requirement and will earn you three hours of CE credit. 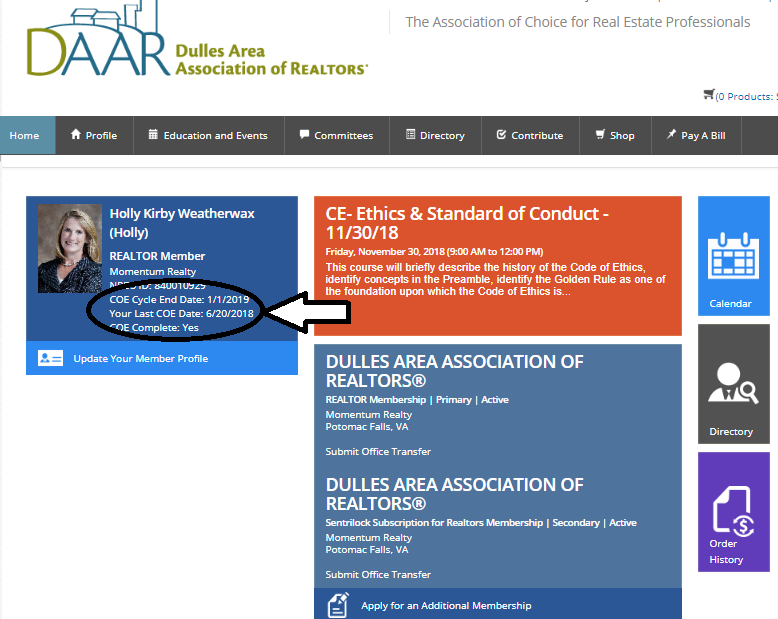 As members, there is no charge for this class and DAAR automatically uploads to NAR. Not sure if you completed the class? Step #2: Once logged in, review the area of the home screen below as shown below. If you completed the code of ethics class this cycle, it should read “Your Last COE Date: Month/Day/Year.” and “COE Complete: Yes”.